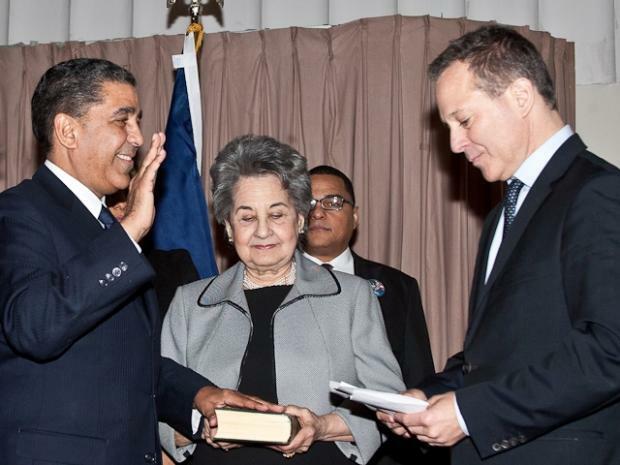 WASHINGTON HEIGHTS —State Sen. Adriano Espaillat was sworn into office by his predecessor and current State Attorney General Eric Schneiderman. Schneiderman served as the state senator for the 31st District since 1998, and spent more than a decade representing parts of the Upper West Side, Inwood, Washington Heights and Riverdale in the Bronx, before moving on to the Attorney General's office. "This is one district where you have to be both muy tigre (Spanish for tough) and a mensch (Yiddish for a good man)," Schneiderman joked at Schneiderman's swearing-in ceremony at Yeshiva University Jan. 9, using slang from his main constituencies in the district. at State Sen. Adriano Espaillat's swearing-in ceremony. "This is a special place where it's a wonderful slice of New York and you have yentas, bochinches, y mas yentas," Schneiderman said, using the Yiddish and Spanish slang for busybodies. Espaillat, who served as a state Assemblyman for Inwood and Washington Heights for 14 years, thanked the Dominican-American community of Upper Manhattan during his address and said his political success was built on the hard work of immigrants who came before him. "This moment is a golden moment for all of us to work together," Espaillat told his supporters. "To give a young boy from Santiago that sat in the back of the classroom for maybe two years without speaking English, for a family who overstayed their visa, at one point we didn't have any papers," he said. Mayor Michael Bloomberg also highlighted Espaillat's immigration to the country and held him up as an example of the American dream. 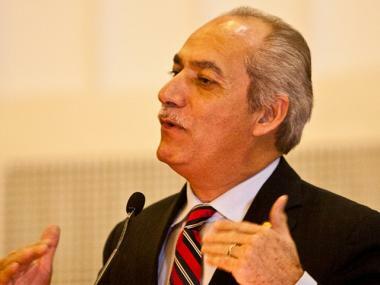 "If ever there was an argument for the importance of immigrants to our city, then Adriano is exactly it," Bloomberg said. Sen. Chuck Schumer and Rep. Charlie Rangel both alluded to the shooting of Arizona Rep. Gabrielle Giffords Saturday and the importance of civilized discourse in politics. "What we are doing here tonight is an affirmation that evil, violent people cannot defeat this democracy and this country," said Schumer, who nicknamed Espailllat dínamo, or dynamo, for his high energy. 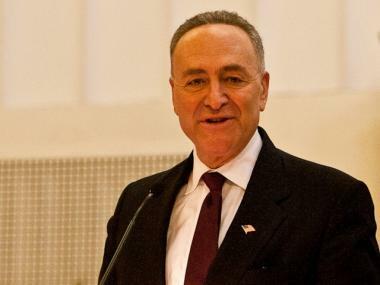 Senator Chuck Schumer spoke at State Sen. Adriano Espaillat's swearing-in ceremony Jan. 9, 2011. Schumer nicknamed Espaillat "dinamo" or dynamo. The parade of high-profile politicians led Rep. Anthony Weiner to wonder out loud who was actually running the state Sunday evening. "If you want a treaty made, a bill signed or your snow cleared, this is the room to be in right now," said Weiner, who represents parts of Brooklyn and Queens. Espaillat said that his priorities in office would be bringing jobs to his district, increasing students' access to pre-collegiate programs and protecting tenants rights.